You’ll get one point for each type of contribution you make to a place. For example, if you add three photos to a place, you’ll get one point. If you add a review to the same place, you’ll get another point. Under your profile picture, touch Contributions. You points will appear in your profile. It may take up to 24 hours before you see your points. Note: As a Local Guide, you can move up in levels when you get more points. Learn about the benefits at each level. Got an insightful review to share? That’s cool. Got photos to publish? Even better. Every place you review, photograph, add, edit, or provide additional info for earns you points in return. From drought to floods: How MULCH can help and how you can get yours. Whether Nature sends us too little or too much rain, it also provides trees to help us. When we place chipped tree-wood mulch on soil, heavy rain lands on many surfaces, which breaks its velocity and allows the rain to stay and soak in instead of racing off to the ocean. It provides water for our trees long after the rainy day and some reaches the aquifer to be pumped out and purified for the drinking water no longer available to import. So how can we get enough of this versatile mulch to cover all our bare soil? Pasadena provides some free mulch and can learn from other cities ways to provide more. We need you to come help make that happen. Learn from experts: Leigh Adams of the LA County Arboretum, Melanie Winter of The River Project and Water LA; Greg Jones of Long Beach Public Works and Charles Peretz of Pasadena Public Works. Moderator Sarah Leone of Hollywood food Guild will invite you to share your ideas too. State of the Mulch 2, Tuesday, December 8 at The Shed, 1355 Lincoln Ave, Pasadena, 91103: mingle at 6:30, panel at 7:00. Presented by Mulch for the People, a project of Transition Pasadena, and by Zanja Madre. Is anyone else experiencing weird behavior of their iPhone? I have seen my iPhone doing some very odd things, some are very concerning, some are a nuisance. Here’s what I have experienced even after doing a reset, powering off and on, doing network reset, reset settings. 1. Calls mute for no apparent reason. I will be on calls, and look down and the call is mute. Usually using the bluetooth, but have also noticed it when using the handset, and speaker. This settings have been recommended by some users who have experienced these issues. With Verizon using LTE for voice calls, seems to be buggy, but maybe it is something that is being worked on, as LTE for voice calls uses different routing, and if you have the setting off, then calls are routed via 3G. 2. Phone goes dark during calls and cannot be used. Only way is to hit the power button. 3. Making a call, silence, even though call connects. There is silence on the line. Other users have reported issues with phone doing random activity, without any interaction. Very disturbing with this latest iOS 9.1, seems to be very buggy to say the least. Whether prepping meals for yourself or a party, this Vitamix blender makes it easy to make your best meals. From Vitamix. Today’s Deal! Shop QVC.com for one day only items at a low price! Le Mesnager Barn offers visitors the closest thing in Southern California to an authentic French farmhouse. 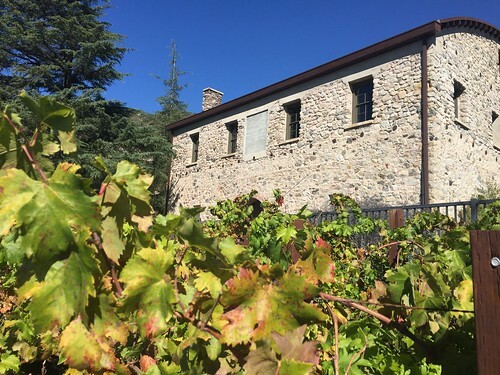 Using local river rock, the French Le Mesnager family built the barn in 1914 and used it to store grapes for their downtown Los Angeles winery. Today, the City of Glendale has restored the barn as part of Deukmejian Wilderness Park. Visitors can enjoy a short loop trail, picnic area, and spectacular views of the La Crescenta Valley and Verdugo Mountains. A modest vineyard tended by the Stonebarn Vineyard Conservancy still produces a small amount of wine yearly. See some pictures from the location. What can be learned from Old Town? What can you see and not see? Join guest collaborators for a walk organized by Maryam Hosseinzadeh in Old Town Pasadena. Social history, urban redevelopment, shared spaces, personal memory, and the places where they meet. This walk welcomes the participation of anyone interested in sharing their own experiences, too. This will be the culminating event of Maryam’s WCCW residency at the Armory Center for the Arts, which she will spend organizing and producing this public walking tour, as well as a booklet and map, as part of an ongoing, long-term project on community-based and word-of-mouth histories of Pasadena and Altadena. Maryam Hosseinzadeh is a native Angeleno interested in the layered sites, memories, places and histories encountered individually and created collectively by all people, everyday. Originally from Altadena, she has lived in Northeast Los Angeles most recently for the past nine years. Some of her past projects include walks for the Craft and Folk Art Museum, the MAK Center, and Machine Project’s Guide to Modern Architecture in LA. This project is funded as a part of the NEA Our Town Public Art Project “My Pasadena,” a City of Pasadena public art project with Side Street Projects as a partner. Meet on the lawn at the corner of W. Colorado Blvd. and S. Orange Grove Ave.
FREE! BRING A LAWN CHAIR! Doo Dah Parade dubs playwright/director, musician, Juli Crockett as its Grand Marshal! 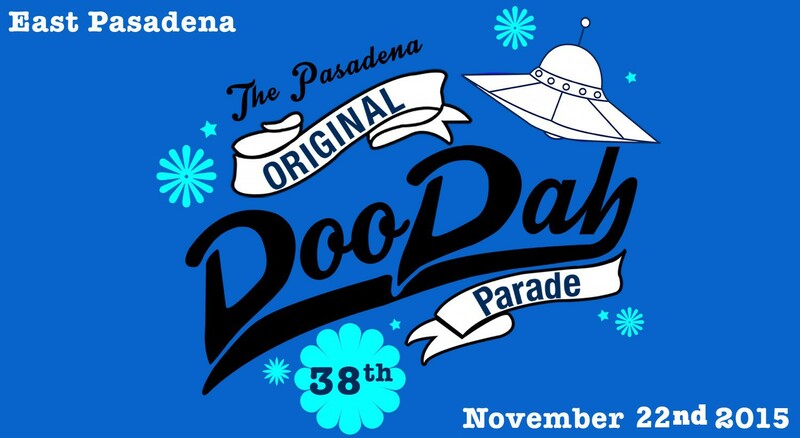 The 38th Occasional Pasadena Doo Dah Parade will take place at 11 a.m. Sunday, Nov. 22, 2015, in East Pasadena on Colorado Boulevard between Altadena Drive and San Gabriel Boulevard. The parade is free to the public. The following streets will be closed for the parade at the times listed below. Motorists are advised to drive with caution in the area. Colorado Boulevard from Altadena Drive to San Gabriel Boulevard, 6 a.m. to 2 p.m.
Nina Street from Altadena Drive to Vinedo Avenue, 6 a.m. to 2 p.m.
Vinedo Avenue from Colorado Boulevard to Nina Street, 10 a.m. to 1 p.m.
Thousands of local spectators are expected to take part in plenty of irreverent frolicking on the streets of East Pasadena during the event, known as the twisted sister of the conventional Rose Parade. The public is encouraged to arrive early to navigate around street closures, find parking and claim their favorite viewing spot. Bring a lawn chair so you can relax and watch dozens of art cars and floats make their way down East Pasadena’s shady tree-lined streets. The public can take advantage of public transit to get to the parade. Foothill Transit 187, Metro 181 and the Metro Gold Line will operate near the parade route. For more information, contact Foothill Transit at (800) 743-3463 and Metro at (323) GO-METRO (466-3876). You can also visit www.foothilltransit.org and www.metro.net. Following the parade, the Official Doo Dah after-party will happen at American Legion, 179 N. Vinedo St., two blocks from the parade at Vinedo Avenue & Walnut Street. Admission is $3, and attendees can enjoy live music and for-sale food and drinks. Unofficial Doo Dah after-parties will take place on the parade route at PooBah Records, 2636 E. Colorado Blvd., and at the Colorado Bar, 2640 E. Colorado Blvd., where the public can enjoy music, food & drinks! 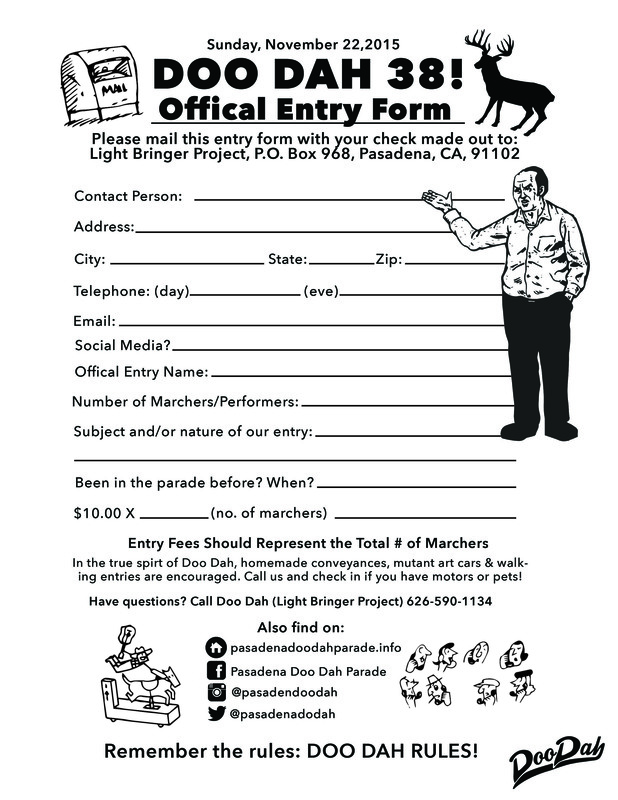 Visit www.pasadenadoodahparade.info for more information or call the Parade Info Line at (626) 590-7596. Wines of Los Angeles with Wine Tasting! Author of the new book, Los Angeles Wine , Stuart Byles, will discuss the wine history of Los Angeles and by extension, southern California. The San Gabriel valley and Altadena/Pasadena play a significant role in that history. This is a fascinating study of a little known facet of our local history, especially of its beginnings in the late 18th century with the Hispanic settlers and rancheros. It is more than likely that the first non-mission vineyard in all of California was planted by Jose Maria Verdugo on his Rancho San Rafael (now Burbank, Glendale, Pasadena,etc.) Mr. Byles will be bringing copies of his books for signing and purchase. This exciting event will include tastings of six Spanish wines. It was the Spanish that brought European wine making grapes to the New World. And it was from those Spanish settlers that the winemaking traditions of California (Baja and Alta) came from. The Altadena Ale & Wine House, which will be providing the wines, is located in the diverse, eclectic community of Altadena. They take pride in the careful maintenance of their products so that they are served fresh and in peak condition. They are a family-owned and operated business. If you enjoy intellectual conversation and the sense of community as well as camaraderie that defines the best traditions of a neighborhood watering hole, then their pub is the place for you. Fresh and elegant, with lots of fruit flavours and a lingering taste of grapefruit on the end of the palate. Latino Americans: 500 Years of History is a part of an ongoing series of Latino-American library programming. Latino Americans: 500 Years of History has been made possible through a grant from the National Endowment for the Humanities and the American Library Association. There is no charge for this event but you must be at least 21 to attend. There is a limit of 80 seats for this event. Pasadena Former Haven Gastropub Location Under Construction – New Tenant? Former Haven Gastropub undergoing construction. Who could be moving in? There is an increase in your Edison bill if you have solar. They now charge a minimum of $10 a month. that $120 is an increase , some sort of hazily named Mumbo jumbo ,that does not apply to your actual usage bill. This minimum fee applies to all customers. But for those that have solar and are paying less than $10.00 – they will have to pay a minimum of $10.00. Apparently this was approved by the PUC recently and the utilities like Edison are implementing the charges. SCE takes 5 to 7 wks to allow cstmr to switch on newly instld solar & now asks PUC for $30/mo mntnc fee. @SCE what about the reported “Solar Tax” proposed to the PUC? Why impose a fee for infrastructure when solar lowers stress on power plants? I am so glad to live in a municipal services city, where there is not some corporation trying to boost their profits and line their pockets. Solar is not going away, and the utilities could be in big trouble as battery technology improves. Also, the future of home based power generation is not a futuristic pipe-dream it is closer than most people realize. Will it be in the form of solar and wind or some other fuel based power generation. It seems that a hybrid approach is the preferred approach to power generation and storage. Batteries play a key role. North Woods Inn, Steak ‘n Stein or Clearman’s Galley ‪#‎clearmansholiday‬ contest! Want to win $50 to any of our restaurants? Enter our ‪#‎clearmansholiday‬ contest! 3. Hashtag #clearmansholiday AND tag the restaurant (@northwoodsinn OR @beststeaknstein OR @clearmansboat & you’re in! Drawing the winner December 15th! Presented by the California Olive Oil Council in partnership with L.A. Wine Tasting. Join us to learn about the art and craft of extra virgin olive oil. This seminar will draw on your wine tasting experience to introduce olive oil tasting technique and allow you to learn about the range in flavor found in California extra virgin olive oils. A sensory tasting will be led by experts from the California Olive Oil Council as well as an in-depth discussion of California’s growing olive oil industry and the importance of quality and traceability. We will experiment with pairing different oils with food and the event will also feature a guest farmer who will share the techniques and care involved in producing an extra virgin olive oil. For ALL DETAILS + PURCHASE TICKETS: ON SALE SOON. Questions? email at [email protected] or call 310 402 1570. Must be 21 and over to attend. Please enjoy responsibly. Sneak Peak at all the Holiday services Lincoln has to offer. Gift wrapping, corporate gifts, holiday catering, & holiday cheer. ARTS AND MUSIC FESTIVAL IN THE ARROYO – WHAT’S IT ALL ABOUT? an annual three-day Arts and Music Festival. Listen, learn and offer your thoughts. The State of California has passed several laws that have a direct impact on our community. Police Chief Sanchez will give an update on crime trends and safety for our area. so bring your questions and concerns. For questions about this meeting, contact [email protected] or (626) 744-4742. Cake Monkey opens retail store across from CBS on Beverly. EXCITING NEWS!!!! AT LONG LAST, OUR 1ST BRICK & MORTAR LOCATION WILL BE OPENING ON NOV. 11TH! Cake Monkey specializes in mini layer cakes and upscale versions of your favorite childhood snack treats! Read all about it in the LA Times! Enjoy a spectacular evening of wine & craft beer paired with a sweet and savory hors d’oeuvres! Featuring live chef stations and music with access to next-to-wholesale wine for purchase! Tickets are $25 per ticket or $40 if you buy two. You can also buy tickets here, but there is a fee. You can start to place our iPad Pro pre-order at several places now. Websites include Staples which is listing the various models. 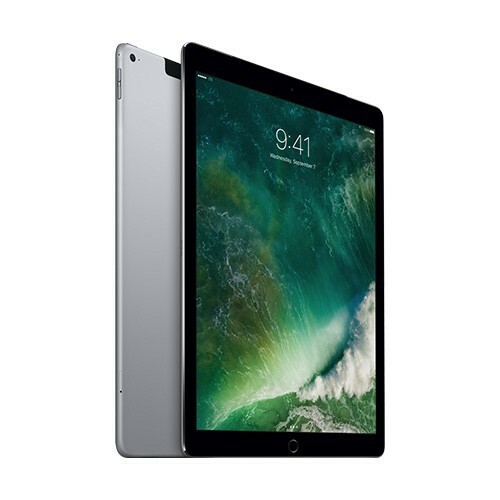 MacMall also includes the iPad Pro models available for pre-ordering. Shipping is stated for mid-month November 2015. You an order from MacMall here. Apple will officially have the iPad Pro in stores later this week. Pricing for the iPad Pro starts at $799 for the entry-level 32GB Wi-Fi only model. A 128GB Wi-Fi only model is available for $949, and a 128GB Wi-Fi + Cellular model is available for $1,079. The iPad Pro is available in the three signature iPad colors: Space Gray, Silver, and Gold. Wednesday, December 2nd at 7 PM. The amount of educational fun you will have. Tickets are available in-store for $32. The class is already about half sold, so if you’re interested, sooner is better than later to stop in & reserve your place! Join Certified Cicerone and Stone Comapny Store – Pasadena Lead Ryan Ludwick for a delectable evening of artisanal Cheses and delicious Stone beers – including rare barrel-aged brew – as part of your indoctrination, er, edication. Class starts right at 7pm, so don’t be late. Tickets are $32 & available at Stone Pasadena.